You can find out a lot about the wedding customs in Ireland and practice reading skills. The present downloadable worksheet is a great resource for business/professional students and high school students at Pre-intermediate (A2), Intermediate (B1), Upper-intermediate (B2), Advanced (C1) and Proficient (C2) level. 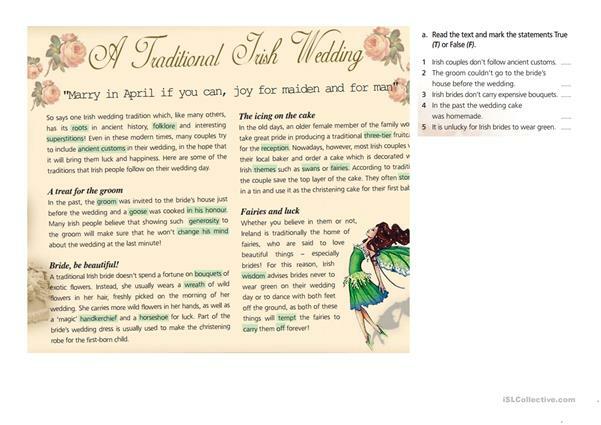 It is useful for honing your learners' Reading skills.